Interesting option to invest some time swimming in La Quinta. Is it not your first time here? Tell us how it went working with the Facebook comments below or contacting us directly! 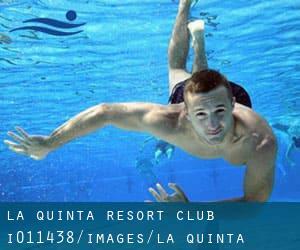 La Quinta Resort & Club is only one of all the swimming pools Swimia is offering you, and its data has been shared with us by a swimmer like you.Keep in mind you possibly can now promote La Quinta Resort & Club by sharing this page with your friends, adding comments and linking to us. This sports center offers 25 yards x aprox.8 feet, Outdoors. Contact information for this Swimming Pool such as phone number and email address are number. Updated on 2019 76200 Country Club Dr. , Palm Desert , CA , USA (Postal Code: 92260). Among all of the activities offered by the center, when you are interested in swimming you will enjoy 25 meters, Outdoors. Just in case you need to contact this Swimming Pool prior to dropping by, we only know the phone number. 27215 Nicolas Road , Temecula , CA , USA (Postal Code: 92591). This sports center offers 25 yards, 8 lanes, Outdoors. Updated on 2019 3490 Madison St. , Riverside , CA , USA (Postal Code: 92502). This sports center delivers 25 meters, 3 lap lanes, Indoors. For this Swimming Pool, only phone number is number here. Updated on 2019 25000 Glen Ivy Rd. , Corona , CA , USA (Postal Code: 92883). Among all the activities offered by the center, if you are keen on swimming you can enjoy 25 yards, 5 lanes, Outdoors. Just in case you would like to contact this Swimming Pool before dropping by, we only know the phone number. 4020 Jefferson St. , Riverside , CA , USA (Postal Code: 92504). Among all the activities offered by the center, if you're thinking about swimming you will enjoy 25 yards x 75 feet, 6 lanes, Indoors. Just in case you wish to contact this Swimming Pool before dropping by, we only know the phone number. Updated on 2019 10805 Palm Dr. , Desert Hot Springs , CA , USA (Postal Code: 92240). Among all the activities offered by the center, if you are considering swimming you might enjoy 89 feet x 27.5 feet, Outdoors. If you have to contact this Swimming Pool, email address and phone number are both number. 68-900 Frank Sinatra Dr. , Rancho Mirage , CA , USA (Postal Code: 92270). This sports center offers 80 feet x 45 feet, Outdoors. For this Swimming Pool, only phone number is number here. Updated on 2019 41000 Bob Hope Dr. , Rancho Mirage , CA , USA (Postal Code: 92270). Among all the activities offered by the center, should you be thinking about swimming you will take pleasure in 40 yards, Outdoors. Just in case you want to contact this Swimming Pool before dropping by, we only know the phone number. Updated on 2019 30875 Rancho Vista Rd. , Temecula , CA , USA (Postal Code: 92592). Among all the activities offered by the center, if you are interested in swimming you will delight in 25 yards, 6 lanes, 3.5f - 12 feet depth, Outdoors. If you must get in touch with this Pool, email address and phone number are both number. Updated on 2019 74855 Country Club Drive , Palm Desert , CA , USA (Postal Code: 92260). Among all the activities offered by the center, for anybody who is interested in swimming you might enjoy 25 meters, 4 lanes, Outdoors. Just in case you want to contact this Swimming Pool before dropping by, we only know the phone number. 73600 Alessandro Dr. , Palm Desert , CA , USA (Postal Code: 92260). Swimmers like you reported 25 yards, 3 lanes, 4 feet depth, Outdoors. Phone number and e-mail address are number for this Swimming Pool. 10625 Palm Drive , Desert Hot Springs , CA , USA (Postal Code: 92240). Among all the activities provided by the center, if you are interested in swimming you will take pleasure in 85 feet, Outdoors. If you must contact this Pool, e-mail address and phone number are both number. Updated on 2019 Civic Center Park , 73751 Magnesia Falls , Palm Desert , CA , USA (Postal Code: 92260). Swimmers like you have reported Olympic size x 25 yards, Outdoors. Also, you will find 25 yards teaching/recreation pool, Outdoors. Just in case you desire to get in touch with this Pool before dropping by, we only know the phone number. 630 W. Latham Ave. , Hemet , CA , USA (Postal Code: 92543). This sports center offers 20 yards x 40 feet, Indoors. For this Swimming Pool, only phone number is number here.